Susan Flannery was raised in New York City in a brownstone on East 51st Street. Flannery knew she wanted to be an actress from a young age, and she went on to receive her BFA in theater at Stevens College in Missouri, as well as attended graduate school before venturing out to Hollywood. Before landing a role on B&B, Flannery racked up many other credits (and awards), including DAYS, DALLAS and a hot role in The Towering Inferno. Flannery has won four Daytime Emmys and a Golden Globe. She currently lives in Santa Barbara, Calif.
She regularly directs episodes of B&B and earned a Director's Guild Award nomination in 1995. Her close friends include Ian Buchanan (ex-Duke, GH; ex-Greg, ALL MY CHILDREN; ex-James, B&B) and Finola Hughes (ex-Anna/Alex, AMC and GH). She has two Labrador retrievers. A travel lover, Flannery once went around the world with Buchanan, visiting Egypt, Russia and China. The cast and crew of B&B created an unforgettable sendoff for Susan Flannery (Stephanie) on her final tape day at the set. B&B is paying tribute to its fearless matriarch, Stephanie Forrester, with a special two-week celebration kicking off today that will highlight memorable moments during portrayer Susan Flannery's 25-year legacy on the show. 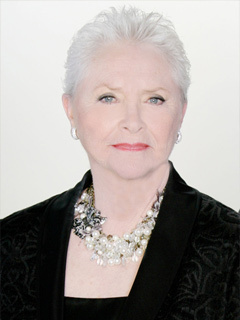 Original cast member Susan Flannery (Stephanie) reportedly asked to be written out of B&B after 25 years, but the show managed to work out a new deal with the daytime legend.